Very tasty salad with tomatoes and beets, and fried bacon gives it a feature - the aroma of smoked meat and taste. 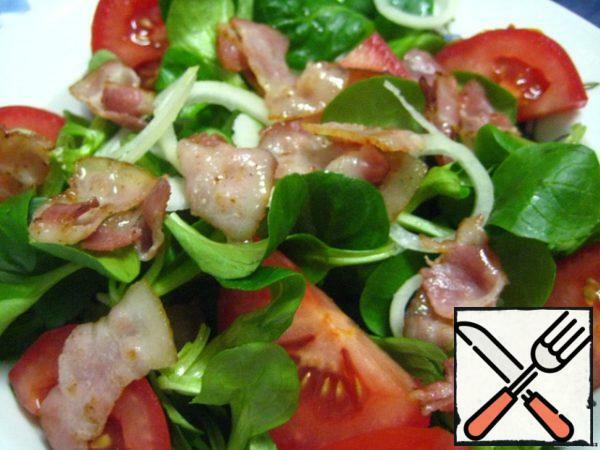 Delicious and unusual salad. Preparing products. 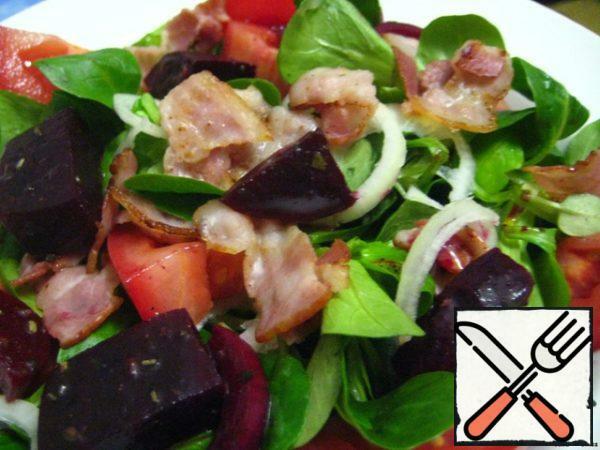 Well washed and dried lettuce.Vegetables wash, peel, cut into: tomatoes-large slices; onion-thin half-rings; beets-large cubes.Cut the bacon into small pieces and fry quickly without adding oil. All products are spread on portion plates and seasoned with salad sauce made from olive oil, balsamic vinegar, mustard and spices.